Meekat International is unique IT based, young & fast growing engineering enterprise that specializes is providing state-of-the-art quality services at very competitive prices to broad range of customers covering the whole spectrum of CAD/CAM/CAE/PLM. 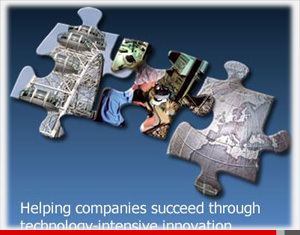 Meekat is capable and well equipped to provide complete Product development Solution. Our Mission is to work together with integrity to provide efficient services to our customer. Our company policies will always be customer focused, employee friendly and must facilities the smooth flow of business without causing any impedance to the speedy satisfaction of our customers and employees performance. Our vision to be a team of professionals that serves the global CAD/CAM industry as a leader and seeks innovative and bold new ways to distinguish ourselves as most desirable by providing exceptional customer service, on time delivery and unsurpassed quality. We will constantly strive for complete customer satisfaction through On-time delivery of products & services. Right output at first attempt. Customer information / data confidentiality and safety. Continues improvement in quality system. These Principles are foundation and future of Meekat International. We foster a positive team environment. We maintain a customer service mindset. We equip our people for growth in their fields.